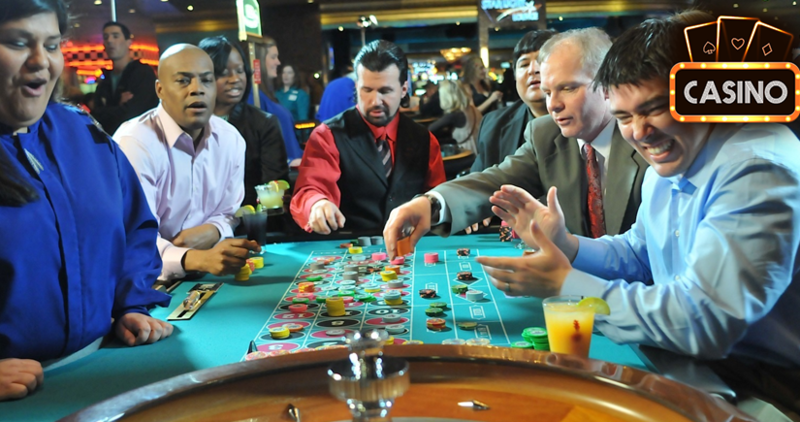 Casinos, especially of the online variety, are jam-packed with all sorts of games. Besides slots and video poker machines, there are also numerous table games to choose from in their electronic and live varieties. Most players are familiar with a few of the most popular ones, but there are so many different games in the mix that it is really a shame to at least not give them a try here and there and see how they treat you. So, this blog will aim to introduce you to these “other” games that aren’t various roulette and blackjack derivations. 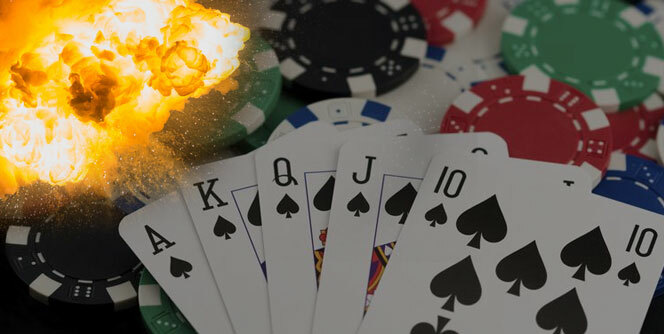 I’ll try to provide you with some basic rules and information about some of these and then you can pick the ones that seem interesting and perhaps take them for a test ride during your next gambling session. Who knows, a new game might provide the lucky break you need! 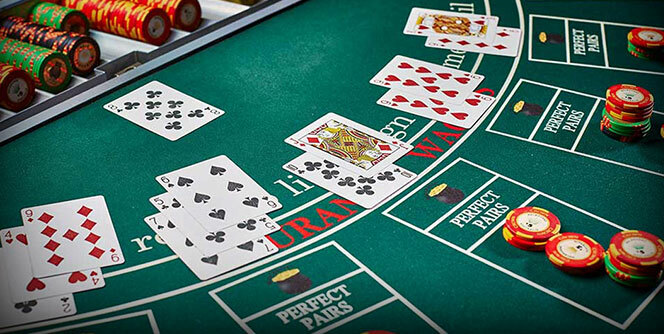 Baccarat can hardly be classed as an “unknown” game, seeing how it featured in several popular movies and the name of the game is well-known to almost every casino fan out there. Yet, there aren’t many people who actually know how to play or have an idea what the game is all about. Although beloved by high stakes gamblers, baccarat is essentially a very simple game where players don’t get to make too many decisions. You place your bet on either “bank” or “player” and then the cards are dealt. The hand with the higher value wins and bets are paid 1:1 regardless of what side you pick. However, picking the bank usually entails paying a commission on your wins (usually in the 5% region) because the rules of the game are such that the bank hand has a slight advantage. So, the best possible hand in baccarat has the value of 9. Both the player and the banker receive two cards to begin with but in certain situations, another card is drawn. Rules differ here for the banker and the player, which is why the banker hand is always a slight favorite to win. However, these rules are fixed and you don’t need to know them to play the game. The dealer will always act according to the rules and deal another card when and if necessary. You don’t have an option to refuse the card or “stand pat” like in blackjack. Baccarat clearly isn’t a strategically very demanding game and if you’re looking for something to train your brain muscles, this won’t cut it. However, it is an entertaining and fast-paced table game that can create a lot of adrenaline, especially if you manage to string along a few lucky wins in a row. Online casinos spread many game variations based on rules of poker but Caribbean Stud might be one of the best-known versions in the bunch. The game will definitely feel familiar if you love poker in general, although it is played against the house and not against other players. The goal of the game is to beat the dealer’s hand. Standard hand ranking rules for high poker games apply here, so the best five-card hand wins. Although there can be more players playing at the table at the same time, you’re not competing against them. The only goal is to beat the dealer with your hand. The game begins with each player placing an ante in the appropriate field. Then, the dealer proceeds to deal five cards (face down) to every active player at the table and takes five cards for themselves. The dealer will then turn over one of their cards face up, revealing it to the entire table. At this point, you can look at your hand and decide whether you want to continue or not. If you decide to play, you’ll need to place the “raise” in the appropriate box, which is two times the amount of the ante. If you fold, you’ll forfeit your ante on the spot, regardless of anything that happens later in the hand. Once all bets are in place, hands are turned over and compared. The dealer must have Ace-King high or better to qualify; if the dealer doesn’t qualify, the players who are still active in the hand will receive even money on their ante bets, but the raise will “push,” meaning you’ll only get your money back, with no additional winnings. If the dealer does qualify, all players holding a better poker hand will be paid out even money on their ante and their raise bets. If your hand is weaker than the dealer’s, though, you will lose both bets. While Caribbean Stud can be a lot of fun to play as it is if you enjoy poker in general, jackpots give the game a special appeal. Namely, at the start of each hand, players can also place side wagers to qualify for progressive jackpot payouts, which are paid based on your hand strength alone. There are different paytables for different casinos but, in general, jackpots are paid for all hands containing two pairs or better. The value of the jackpot increases with the absolute value of your hand, so two pairs may only pay two to one, while you’ll get 100 to 1 for a royal flush. Many Caribbean Stud Poker tables feature progressive jackpots as well, where the amounts for the strongest hands increase over time. So, making a royal flush can see you walking away with a five or even six-figures if you happen to get lucky! 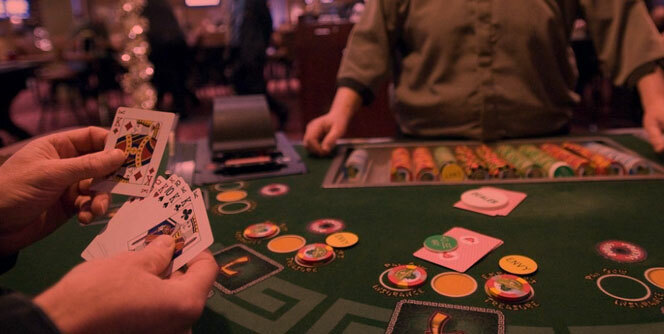 Pai Gow definitely belongs to a more obscure category of table games but it can actually be a lot of fun to play and it is one of the games with a rather low volatility if you find it in its full format. This is a game usually played with the standard deck of 52 cards and one Joker. You’ll be dealt seven cards to start with. Out of these, you’ll need to make two poker hands: one containing five cards and one containing just two. Standard poker rules apply here, so with your five card hand, you’ll be looking to make pairs, straights, flushes, full houses, etc. With your two-card hand, you can obviously only make pairs and high-card hands. One thing to be mindful of when playing Pai Gow is that your two-card hand mustn’t be stronger than your five-card hand, i.e. you can’t have a pair of Aces as your two-card hand and a pair of Kings or Queens for your five-card hand. Once you make your hands, they are compared with the dealer’s. If you win both hands, you’ll get paid 1:1 on your bet; if you lose both hands, you’ll lose your bet. In the scenario where one of your hand wins and the other loses, it’s a push (tie) and you’ll get your bet back. Pai Gow Poker may not be the game for adrenaline junkies but it is definitely an interesting choice if you’re looking to play for some time. There’ll be a lot of pushes along the way and you’ll also get to have some fun making your hands. Although the Pai Gow strategy is pretty basic, it isn’t a completely mindless game and your decisions do make a difference to some extent. Three Card Poker is another table game revolving around poker rules, offering players a familiar ground to start from. In this game, you’ll be dealt three cards and you’ll make your decision whether to proceed or not based on the strength of these cards. Hand strengths are similar to the usual high poker rankings but there are some differences. For example, a straight (three cards in a sequence) is stronger than a flush (three cards of the same suit). Since you’re only dealt three cards, as the name of the game suggests, only certain types of hands are possible, as there are no quads or full houses in the mix. The goal is, as always, to beat the dealer’s hand and get paid at even odds. Once you receive your hand, you’ll decide whether you want to play or not. If you decide to play, you’ll need to match the value of your ante bet. After all players have made their decisions, their hands are compared to the dealer’s. The dealer must have Queen-high or better to qualify. If they qualify and you win, you’ll win at even odds on your Ante and Play bets. If the dealer doesn’t qualify, you’ll only get paid on your Ante bet. Games described in this blog are just some of the more popular among the lesser-known table games. 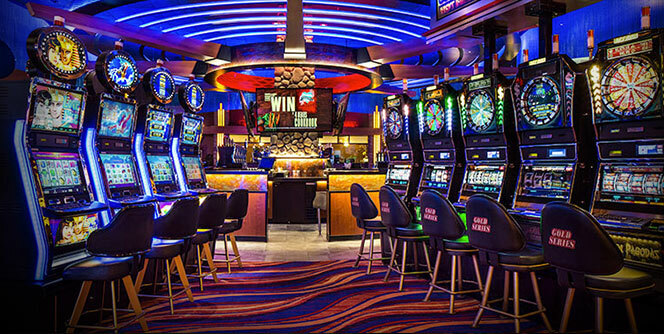 There are many more to explore, like Casino Hold’em, craps (for those who haven’t had the chance before), etc. Although many of these casino games are similar in some of their elements, all of them introduce some special angles to make them interesting for the players. So, if you are bored of playing the same games over and over again, perhaps you could give one of these alternatives a go next time you play. Maybe you’ll like them, maybe you won’t, but there is no way to tell for certain unless you try them out and see if they float your boat! Freelance writer with over 5 years of experience, extensive knowledge of slots & other casino games, been on the other side and plays poker for a living. Will We Ever Have Another Poker Boom? Copyright © 2018 LegitCasinosOnline.com All Rights Reserved.